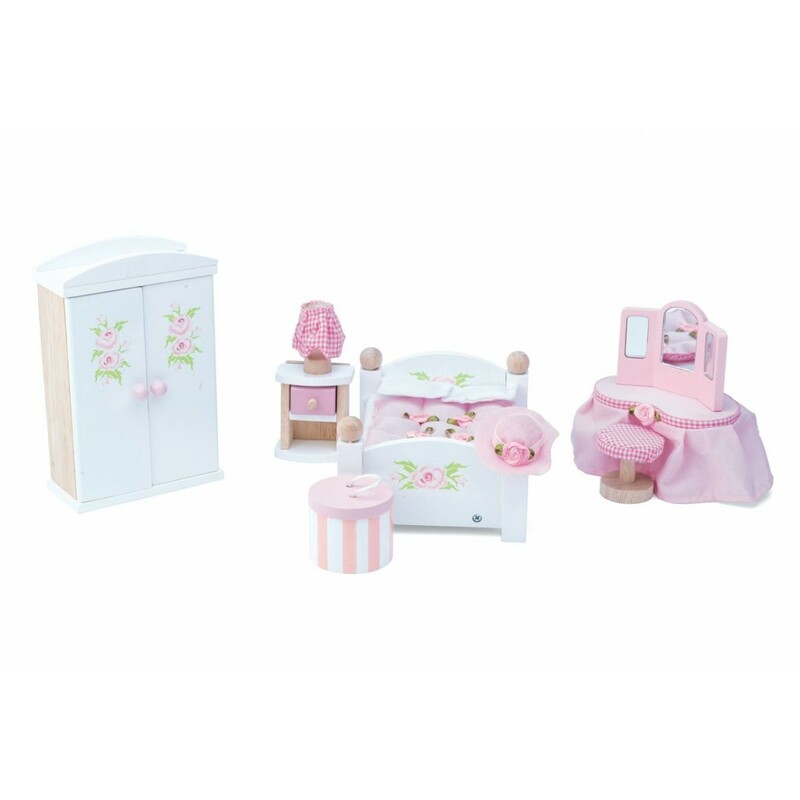 The Daisylane Master Bedroom set includes a double bed with bedding, a wardrobe with hangers, a dressing table, a bedside table and all the accessories included as pictured. Each of the Le Toy Van furniture sets are packaged beautifully in a presentation box, making them a stunning gift. We really like the rose petal bedding and the snazzy bedroom pouf!